Demolition work requires a high amount of skill and preparation even before beginning to bring a building down. DOW spoke to the team at Hastings Demolition to find out more about the work they do. Hastings Demolition has an excellent reputation around Hawke’s Bay that’s been built on several decades’ worth of work. Graeme Hall is in the driver’s seat now, but before him it was his parents, Gordon and Colleen Hall and before that, his grandfather Les Hall. Graeme took over from his father in 1991 and has been there since. "It’s all I know," he says when asked what he likes about the business. "And while I definitely like it, I admit I wasn’t enjoying it when I had to jump through all the red tape that was involved. Now I have staff to do that, so it helps." To ease that burden, he now employs Bill Hilton full-time as a health and safety officer. "It might slow jobs down a little but it also makes things safer," says Graeme. Dylan Hemingway is Graeme’s project manager and has been so for eight years. The company also employs a full-time engineer plus an apprentice engineer. "With the amount of machines and gear we’ve got, it’s important to keep up with maintenance," says Dylan. 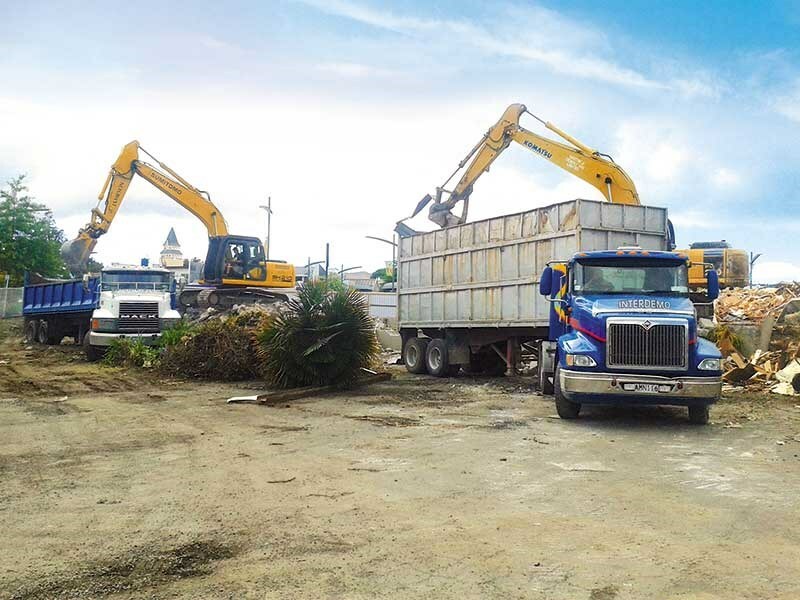 As well as demolishing buildings, Hastings Demolition carries out a variety of other work such as concrete cutting, drilling and breaking, asbestos removal, fire cleans ups and site clearance following demolition. "A lot of what we do is not only knocking buildings down but modifications to buildings, such as enlarging foundations and general earthquake strengthening. "In fact, since the Christchurch earthquake, a lot more professionalism has been brought to the demolition business." Demolition used to be grabbing some big fellows and telling them to knock something down. 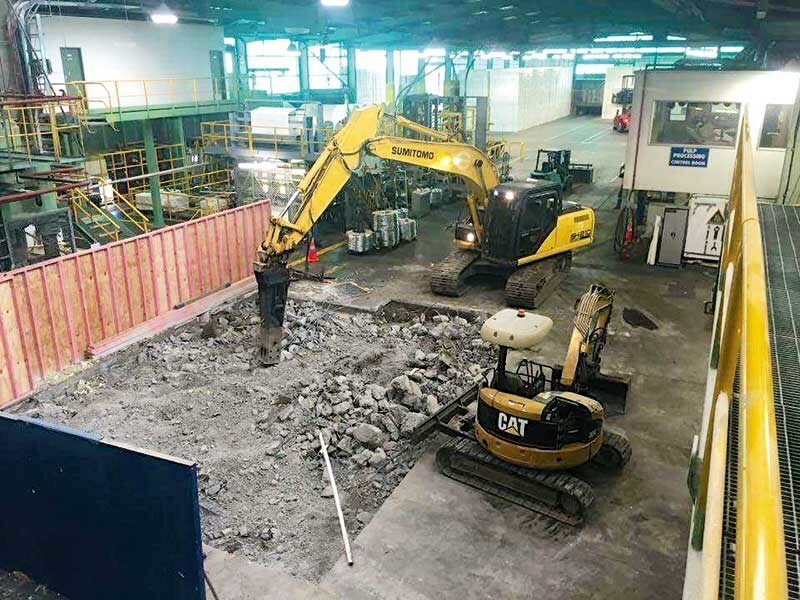 Now everyone’s got to be qualified and that’s not so much demolition-qualified, but qualified to work with machinery at heights and with cascading equipment," says Graeme. Every job is different, he says. "Before any work begins, either Dylan, Bill or I will stand back work out how we are going to approach this particular building. Then we map out a methodology. Bill takes care of staff training in this area and draws up all the relevant health and safety notices, plus OSH notifications so everyone knows what the job entails." Asbestos removal is a big part of the company’s work and it employs five guys full-time for that. It involves special suits, respirators and routine health checks as part of the process. The machines that get the job done in a challenging work environment such as this are mostly the excavators. "They are the main work horses – plus the staff of course," says Graeme, "because there is a lot of labouring involved." These machines get a real beating and it’s a true test of their endurance. 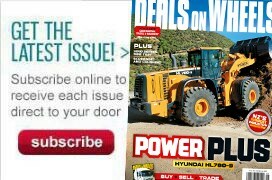 "Reliability is the big thing for us. You can’t take too much pride in them though, because they do get knocked around and that’s just a part of the job. You’ve got to put up with the odd dent and scratch; there’s no use being too precious about it." Trucks are chosen for their strength too and Graeme admits he favours American trucks such as Macks and Internationals, "They’re hard-working trucks and have been so reliable." 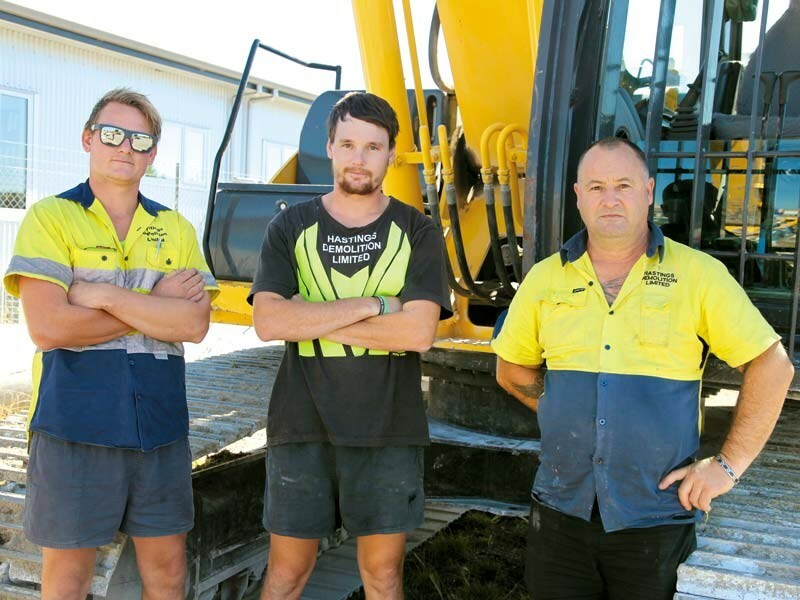 Dylan began working as a concrete cutter nine years ago, before working at Hastings Demolition. He loves his job because "there’s a lot of variety, lots of challenges and no two days are the same." His brother James, who is an excavator operator, echoes this feeling. Dylan says, "When we demolished the Albert Hotel in Hastings recently, people were in awe of the whole process. It blew the myth of having a digger bucket simply smash the building up. You’ve got to do it in stages and make sure the facade isn’t going to fall off or the back-end isn’t going to break away and crush someone. You’ve got to go about it in a planned, strategic way. We keep moving and planning ahead all the time in this business." 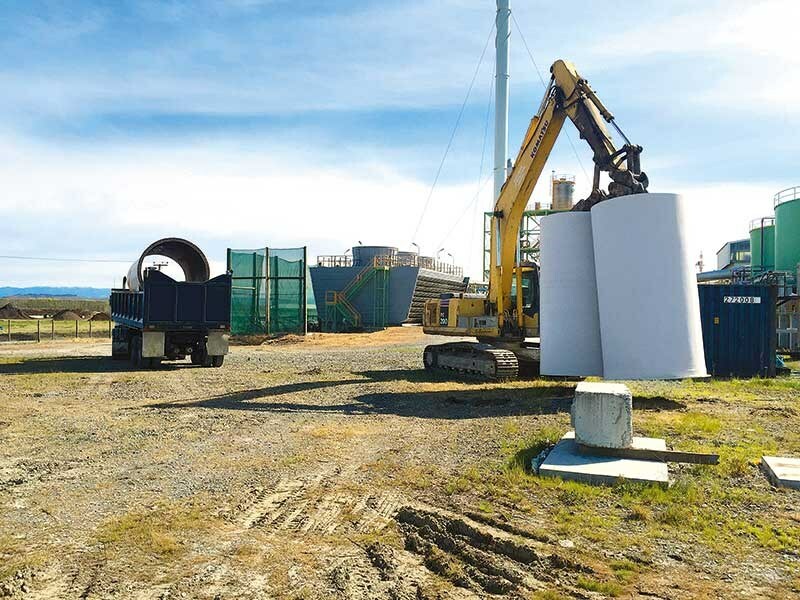 In Havelock North, a cell phone tower has been taken down. The remaining foundations, unplugged from the ground, look like giant mushroom stems. So a Mack truck, Hound Dog, turned up and James operated the excavator in an effortless fashion, picking up several pieces at a time and dropping them into the trailer. Then it was on to the next job. 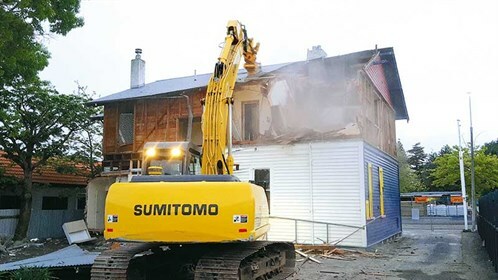 There was much cheering in households around Central Hawke’s Bay when the Hastings demolition team moved in to begin work on demolishing the former Waipukurau Hospital a few months ago. The old brick building had languished in a state of disrepair for a number of years and had become a vandalised eyesore. A few weeks down the track and already a couple of buildings had gone and neat piles of concrete, bricks and timber were sorted, awaiting the next stage. That’s the sort of progress communities like to see and as Graeme points out, "You can’t hold onto the past. You have to move forward." 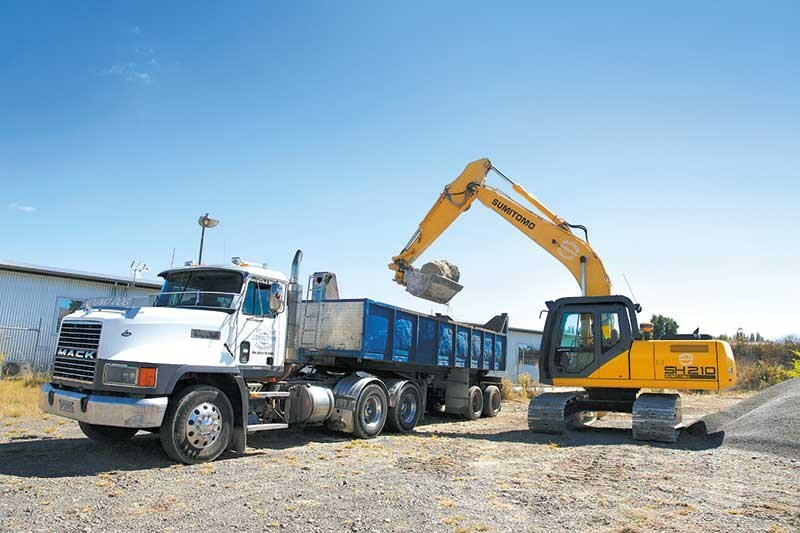 Business is booming for West Auckland demolition company Yakka.